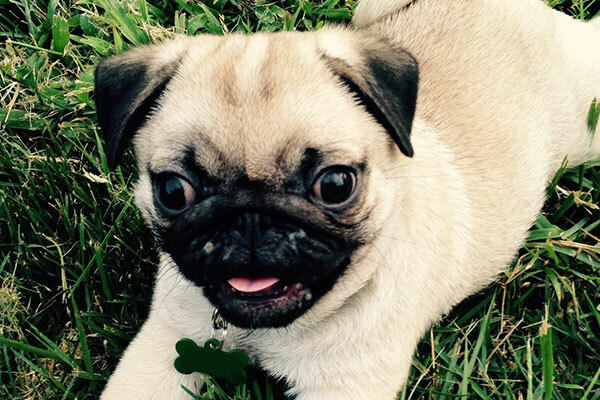 If you are thinking of buying a flat faced puppy, or already own a flat faced dog, then it’s important to get to grips with Brachycephalic Ocular Syndrome. 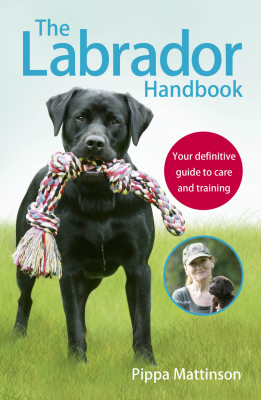 Many puppy parents are unaware that their new brachycephalic friend will be facing a few health problems in his life, and understanding what they are and what you can do to help them is very important for your dog’s welfare. Brachycephaly is a term used to describe a dog with a shortened skull. 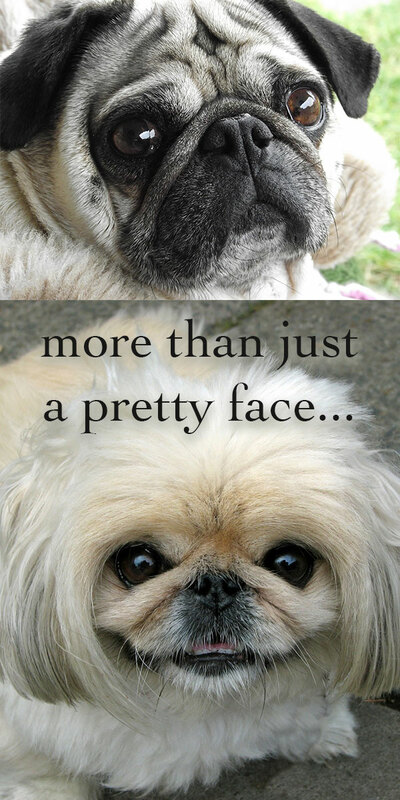 There are a number of very popular brachycephalic breeds, including Pugs, French Bulldogs, Pekinese and Shih Tzu. All of these breeds have had their faces significantly shortened through selective breeding, and as a result now fall into the ‘brachycephalic’ category. 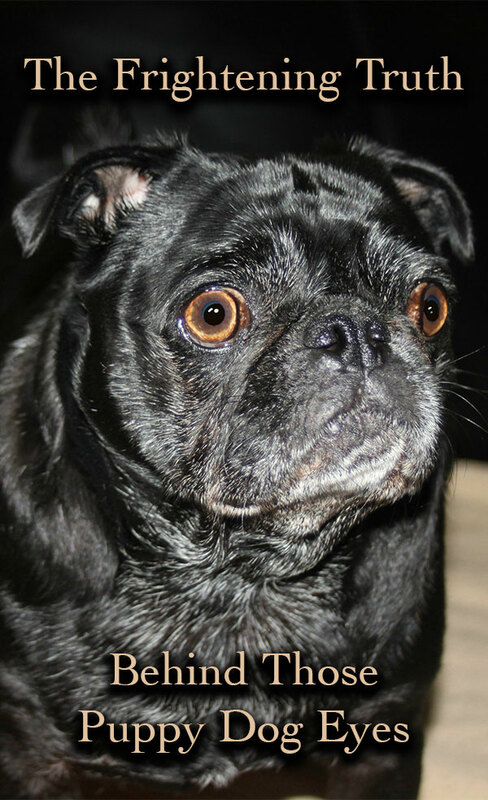 What Is Brachycephalic Ocular Syndrome? Brachycephalic Ocular Syndrome is a term used to describe the condition whereby the eye or eyes of a brachycephalic dog become damaged as a result of their flattened face. 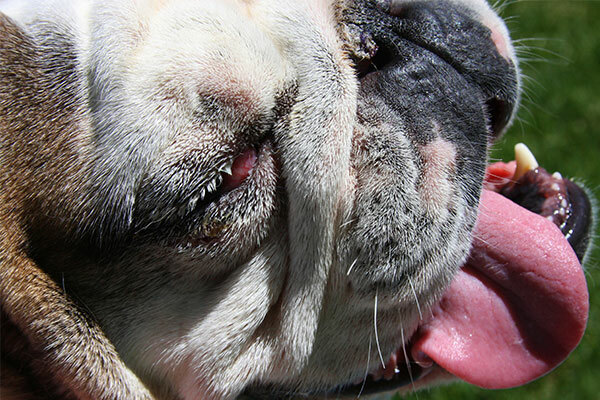 Brachycephalic Ocular Syndrome is a condition common to all severely brachycephalic breeds. And it is caused by the shape of the skull. Many flat faced dogs have what appear to be very large eyes. They give them a very endearing and quite human expression, and a lot of people consider them to be incredibly cute. Some brachycephalic dogs will be unable to fully close their eyes. Unfortunately, this look brings with it some serious issues. Dogs with bulging eyes look the way that they do, because the depth of the eye socket is too shallow. Dogs with bug eyes might look cute, but the shallow eye sockets which cause them means that the eyes are in danger of some nasty damage. Dogs with bulging eyes damage them far more easily than other breeds. One of the purposes of a normal eye socket is to protect the eye. It means that everyday knocks and scrapes don’t affect the surface of the eye or the eye itself. The eyelids also help to protect the eye. In some cases a brachycephalic dog’s eyes bulge so much that the eyelids cannot close completely around them. This causes the surface of the eye to become dry, and prone to infection and eye ulcers. These conditions are very painful for the dog, and can even result in him losing his sight in the affected eye. But sadly, this isn’t the worst of it. This is a seriously unpleasant mental image to conjure up, but I am sure a far worse one to see in real life. In cases of serious Brachycephalic Ocular Syndrome, dog eyes popping out of their heads is a very real possibility. Pugs eyes pop out, Pekinese eyes pop out, Shih Tzu eyes pop out. And they are not the only ones. Flat faced dogs’ eye problems aren’t just distressing to them, they can be a terrifying experience for their owners. The distress shown by dogs whose eyeballs have popped out suggests that it is an extremely painful experience too. The structural problems with brachycephalic dogs’ eyes don’t end there either. Even if your flat faced dog doesn’t suffer the worst of the brachycephalic ocular syndrome symptoms, he will still need a lot of attention paid to his eye health. 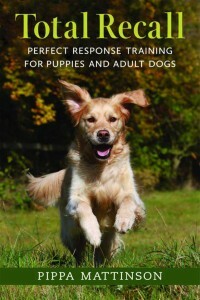 The cute appearance of the dog with bulging eyes has been bred at the expense of their health. Many brachycephalic dogs have a lot of loose skin folds on their face, because the shortened bones of the muzzle are not reflected in the skin. The folds are a problem in and of themselves in terms of dermatitis, but they can also directly affect the dog’s eyes. The fur on the skin can rub the surface of the eye, causing pain and distress to the dog. Then, because of the structure of the eyelids, the tear ducts of the dog may be blocked and unable to drain properly. This means a constant dripping from the corner of the eye, which stains the fur and predisposes the dog to infection. He may also suffer from ingrowing eyelashes and rolling inwards of the eyelids, also causing damage to the eyeball and intense discomfort to the dog. If your dog is from a flat faced breed and shows these signs, then your veterinarian will in all likelihood diagnose brachycephalic ocular syndrome with no need for further testing. Eye infections in dogs can be treated, but tend to recur. Careful cleaning and monitoring is essential in helping the recurrences to be minimised. Surgery can sometimes be the course of action chosen by a veterinarian. A medical canthoplasty as described in this veterinary article can alter the structure of the dog’s eyelids to improve his condition. In serious cases of brachycephalic ocular syndrome, where the eye protrudes too far or has popped out, the eye may need to be surgically removed by a veterinarian. If you already own a flat faced breed of dog, then it is very important that you check their eye health daily. Make sure that there is no discharge around the eyes, and that they look clear and bright. Clean the eyes using damp cotton wool at least once a day. Remember, one wipe then throw the cotton wool away. Do not do more than one wipe, and make sure you don’t wipe both eyes with the same piece, to avoid spreading any source of infection. If you are in doubt when it comes to their eye health, seek help from your vet without delay. 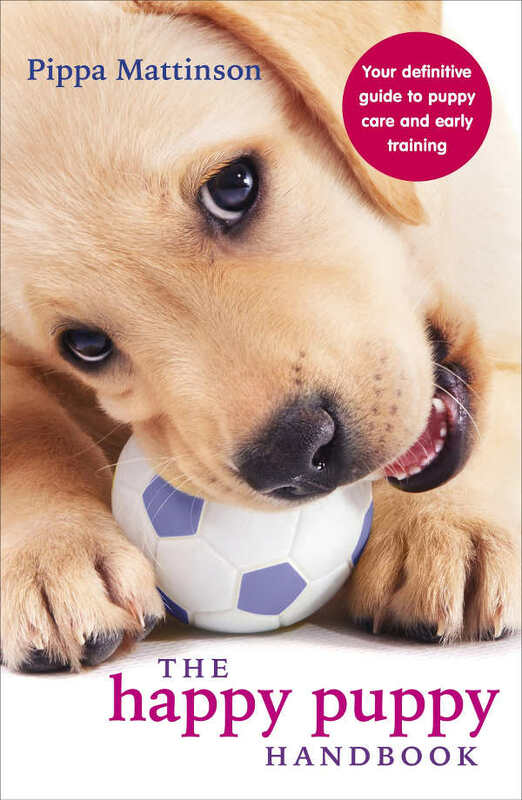 Have a regular appointment with your veterinarian to have them double check your pup’s eye health too. My Dogs Eye Is Swollen! If you own a brachycephalic breed and you feel that your dogs eye is swollen, then the first thing that you need to do is consult a veterinarian. The case of the flat faced dog is a very sad one. No one wants to see lovely dogs suffering from avoidable health conditions. But unfortunately, as long as there is a demand for dogs with big eyes, breeders will supply them. In the long term, the way to prevent this is for a governing body to put breeding standards in place that prevent dogs with severe health problems being bred from. 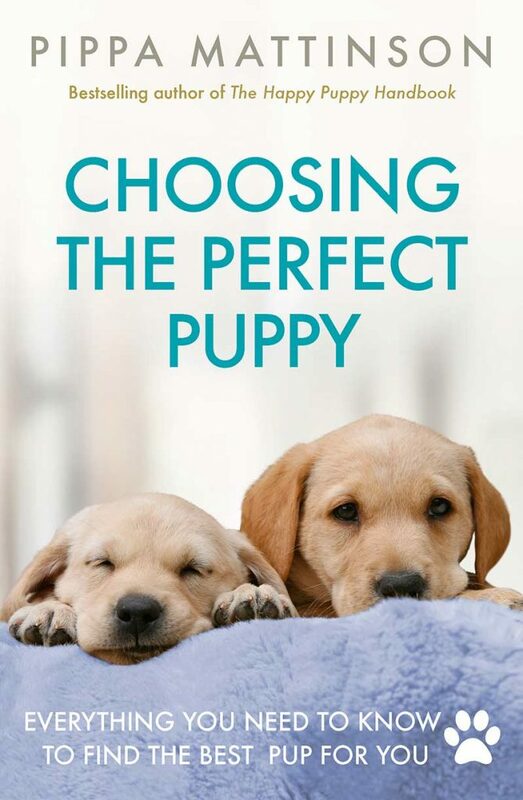 In the meantime, people all over the world can help by reducing the demand for these puppies, and choosing a breed with a healthy skull shape and prominent muzzle.